Although our pupils are young, E-Safety is taken very seriously at Farncombe School. Within the school network, all our computers and email systems are monitored to ensure our children stay safe online. The internet connection at school is filtered and protected using the most up to date technologies to help ensure that we provide quality access to the internet to enhance learning. E-safety is directly taught each term with teachers explaining exactly how each class should keep safe online now and in the future. 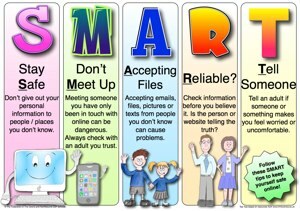 We have posters and information displayed in our IT suite to provide reminders on what children should do when working online. This is coupled with constant supervision of children when using computers to ensure full safety. 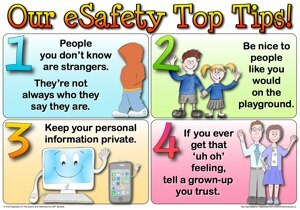 We all realise how important it is to keep our children safe when they are online and using the internet out of school. Think U know – containing internet safety advice for those aged from 5 to 16, along with parents and teachers, this site is produced be CEOP (the Child Exploitation and Online Protection Centre).